Guntur is a city in the Guntur district of the Indian state of Andhra Pradesh. It is a municipal corporation and the administrative headquarters for Guntur district. It is also the mandal headquarters of Guntur mandal in Guntur revenue division. The city is the third most populous in the state with population of 743,654. 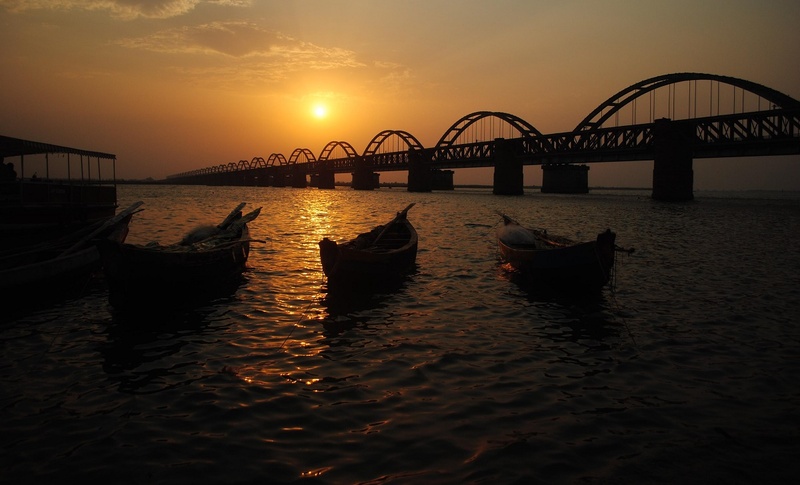 The city is situated on the plains and located 40 miles (64 km) to north of the Bay of Bengal. River Krishna is the main source of water for the city through channels and tributaries. The city is part of Andhra Pradesh Capital Region and Vishakhapatnam-Guntur Industrial Region, a major industrial corridor in India. It is also a Tier-II city as per Government of India and the headquarters to many state departments and agencies and is renowned for education, business, e-commerce industry, and agriculture. It exports chilli pepper, cotton, tobacco and also it is also the largest producer of chilies in the country. The city residents are referred as Gunturians. Traditional drama and theatrical events also have their presence in the city. The city has various religious presence and hence, many festivals such as, Eid al-Adha by Muslims; Hindu festivals of Diwali, Holi; and Christmas by Christians; etc., and many more. The South Indian breakfast varieties such as, Idli, Dosa etc., are preferred mostly. The Red chilli biryani is one of the most distinguished food item of the city. Guntur Sannam, a chilli variety was registered as one of the geographical indication from Andhra Pradesh under the Geographical Indications of Goods (Registration and Protection) Act, 1999. The major commercial and residential areas in the city include the Arundelpet, Lakshmipuram and Brodipet. Navabharath Nagar, Pattabhipuram, Shyamla Nagar and Vidya Nagar etc., are some of the other areas in the city. Autonagar, Gorantla, Peda Palakaluru, Nallapadu etc. are some of the other areas of the city. The city has many parks, museums, temples, nature conservation sites, forts, resorts and caves. The Jinnah Tower is one of the iconic structure on Mahatma Gandhi Road, one of the important centre of the city. There are seventeen parks in the city with some of them maintained by the municipal corporation. APSRTC operates buses to various destinations from NTR bus station of the city. It has also introduced city bus services from the city to the nearby destinations of Pedakakani, Namburu, Yanamadala and Chebrolu. Other local transport of the city are private mini buses and auto-rickshaws. The city is well connected to the major destinations through various national and state highways. National Highway 16 bypasses the city, which is also a part of Asian Highway 45 and Golden Quadrilateral. The highway is connected with the Mahatma Gandhi Inner Ring Road, encircling the city. The State Highway 2 connects the city with Macherla and State Highway 48 with Bapatla and Chirala. The Guntur-Parchoor road is a part of the core road network of the district, that connects it with the Parchur. The city has a total road length of 853.00 km (530.03 mi). Guntur Junction and New Guntur are classified as an A and E category stations respectively in the Guntur railway division of South Central Railway zone. These two railway stations of the city are used for rail transport. Nallapadu and Perecherla are the other two satellite stations. Rail Vikas Bhavan in the city is the headquarters of Guntur railway division.